Membership of our new Goodreads group, 29 Conspiracy Theories – A Discussion Group, continues to grow, attracting commentary on subjects ranging from the Fed and international banksters, to Big Pharma and the Medical Industrial Complex, to mind control and Project Monarch, to aliens and Area 51 and many more. The group was originally titled The Orphan Conspiracies (after our non-fiction book of the same name). We changed the name to encourage wider debate and to get across to prospective members that they don’t need to have read the book to participate in the group. Book the inspiration for group. In little more than a month, group membership has topped 150. 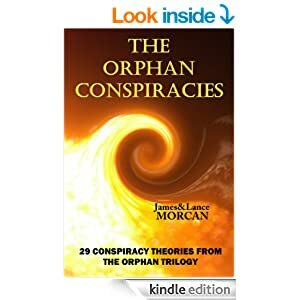 This group is for like-minded people to discuss the controversial topics explored in The Orphan Conspiracies: 29 Conspiracy Theories from The Orphan Trilogy. This non-fiction book was written by James Morcan & Lance Morcan with Foreword by leading scientist Dr. Takaaki Musha and Afterword by renowned historian Professor Richard Spence. The group is open to everyone! You don’t have to have read The Orphan Conspiracies to participate. All you need is an enquiring mind, an interest in the world we live in and a desire to learn or to uncover the truth. In just three weeks our new Goodreads group “The Orphan Conspiracies” has topped 100 members, confirming our belief there’s a lot of authors, readers and others interested in how the world (really) works, politics and social sciences, global change, international peace, media studies and 21st Century history. 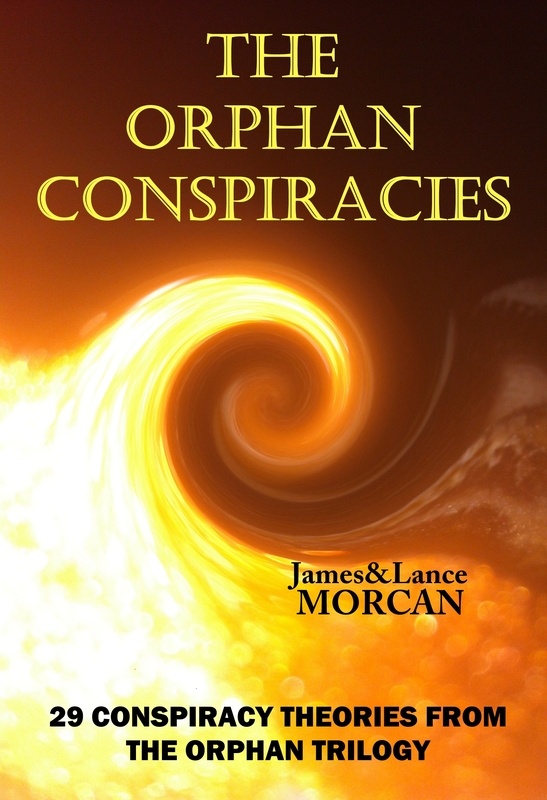 The group has been established to provide a public forum for interested parties to discuss any of the controversial topics explored in our non-fiction book THE ORPHAN CONSPIRACIES: 29 Conspiracy Theories from The Orphan Trilogy. Issues covered to date in the group’s discussion thread include false flag operations and the US military’s (true) proposal to kill Americans, MK-Ultra and Project Monarch mind control, Bilderberg and puppet masters pulling strings, the Federal Reserve and international banksters, polyglotting and genius techniques of the elite, Yamashita’s Gold and the multi-trillion dollar WW2 cover-up, Nikola Tesla and suppressed science, Royal welfare benefits and the Queen’s invisible riches, Big Pharma and the medical mafia, Jonestown, Ormus, the science of racism, the Fourth Reich, the price of a “free” media and more. As we explain in the introduction to the group, our book was borne out of reader curiosity for it was not something we ever intended to write. However, when The Ninth Orphan, the first book in our international thriller series The Orphan Trilogy was published readers began commenting on or asking about the truth behind the real-life mysteries highlighted throughout. Since then, readers’ emails and social media posts have escalated with the publication of The Orphan Factory and The Orphan Uprising, books two and three in the trilogy. Our book bridges the gap between fiction and fact. It fully explores the real-world suppositions, assumptions and theories we included in our fictional universe and provides answers to the questions our readers have been asking. As we’ve said before, our mission in writing The Orphan Conspiracies was twofold: to expose the global agenda designed to keep the power in the hands of a select few (the top 1%) and to empower the masses with essential knowledge that’s been withheld from them until now.